An incredible day! A wonderful way to make sure visual media is used with the right pedagogical approach. This WILL raise standards in our school! An inspirational day with ideas that can be used practically in the classroom to give children an exciting and memorable learning experience. Fantastic ideas and approaches, I've really enjoyed today and I 'm looking forward to trying out your ideas and sharing them with colleagues. Again, brilliant CPD! Third time hearing Lee and second time seeing John and it is never boring or repetitive. Great ideas yet again! Very informative. Lots of great ideas that I know I will use with my class. I want to do all your courses now! A great day! The best CPD I think I have ever had! Good mixture between, take back to school ideas and information and learning that underpin the approach. Excellent content and delivery. I would advise anyone who needs help planning literacy to come to this course. Loads of really innovative ideas to share in school, things I would never have even thought of doing. Cant wait to get back to school to try some of the suggestions. Content was really inspirational and made me think about teaching writing/reading differently. A great day - thank you! Very informative - lots of ideas to take away. Really enjoyed - thanks! Good to see the possibilities with different types of media. Thank you! 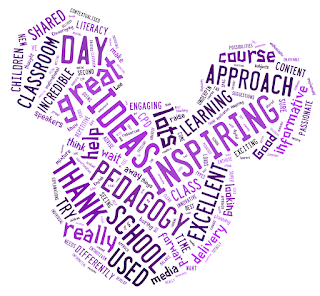 Great course with super ideas! Great ideas on how to engage and enthuse my class. Another motivational and inspiring delivery from Mr P. Lots more ideas to take back to school. Contextualised SPaG from John was a new and interesting approach. Good mix of resources shared. Both speakers inspiring by their enthusiasm and passion for the subjects. Encouraging individual approach to teaching in the classroom. Incredibly useful ideas that I cannot wait to implement into my teaching. Excellent course - feel very inspired! Interesting and excellent ideas, looking forward to using them in my class. An excellent day - lots of ideas to take back to school. Inspiring! Lots of ideas to take away with me - great balance of delivery and application. Thank you! Fantastic, inspiring new ways to teach English and develop digital literacy approch. Very enjoyable - made me awareof lots of opportunities around us for writing. Thank you! We are excited to bring this conference to York, Peterborough and Gwent, South Wales later this academic year! Please watch the following video and fill the form at the bottom to book a place!